With the end of 2013, the fiction award season is upon us as people scramble to submit nominations for their favorite books and stories of the year. 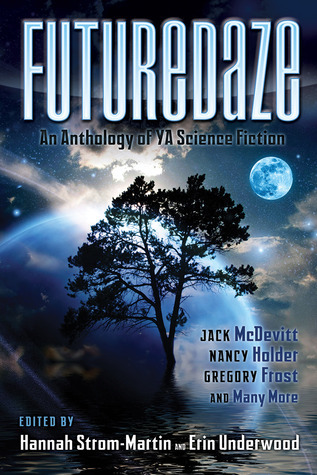 For those of you who are eligible to submit nominations for an award and you are thinking of nominating Futuredaze: An Anthology of YA Science Ficiton, here is the information for the Andre Norton Award for Outstanding Young Adult Science Fiction or Fantasy Book as well as the Nebula Awards. If you have other books and short stories that you’d also like to nominate, we encourage you to nominate those as well since more diversity in awards is something that Underwords likes to encourage. This is the area to nominate works for the Nebula Awards. Nominations may be submitted by Active, Lifetime Active, and Associate SFWA members in good standing. The nomination period opens November 15, 2013 and runs through February 15, 2014, 11:59pm PST. The Nebula Award rules are available here. You will need to sign in to these forums to access the online ballot. The sign in link is located on the top right corner of this page. Your login and password can be found in the email reminder recently sent to you. If you have trouble signing in please contact office@sfwa.org for assistance. By the Nebula Awards Commissioner, in consultation with the SARC and subject to an appeal to that committee, for purposes of determining other aspects of eligibility according to the rules. In the event of a disagreement over jurisdiction, the SARC shall determine whether the eligibility question at issue falls under the jurisdiction of the Jury, the Nebula Awards Commissioner, or the SARC. Andre Norton Award Jury: In consultation with the Nebula Awards Commissioner, the President shall appoint an Andre Norton Award Jury. The jury shall consist of at least three (3) and not more than seven (7) members, to consider works published during the calendar year for possible inclusion on the Final Ballot. The jury may add up to three (3) works to the Final Ballot. The jury may not add a work written by a member of the jury or a spouse or domestic partner of a member of the jury to the FINAL BALLOT. Nominations: Nominations may be made by any Active or Associate members of SFWA in good standing, and shall be tallied in accordance with the Nebula Awards® rules for novels. Nominations shall be tracked by the Nebula Awards Commissioner and included as a separate category on the FINAL BALLOT. FINAL BALLOT: The top six (6) works nominated shall reach the FINAL BALLOT, according to the procedures established for novels. The FINAL BALLOT shall be appended to the Nebula Awards Final Ballot, voted upon by the Active members and counted in accordance with the Nebula rules. Winner: The winner shall be the work which receives the most votes during the FINAL BALLOT. Ties shall be handled in the manner established for novels. Special Futuredaze for Kindle Offer $1.99 ~ Ends at Midnight! 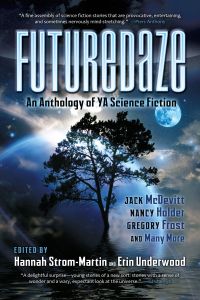 For those of you still waiting to pick up your Kindle version of Futuredaze: An Anthology of YA Science fiction, this is your chance! For today only, ending at midnight on June 25th, you can purchase a copy of Futuredaze for $1.99. Get Futuredaze for Kindle now!